Registration for the Spring Session 2 2019 of youth swimming lessons offered at Tel Hai Retirement Community, located in the StoneCroft Aquatics Center, opened at Noon on Friday, April 12, 2019. The sessions will run for two weeks with three classes per week. Advanced Beginner: Advanced beginners should be able to swim on their backs unassisted. 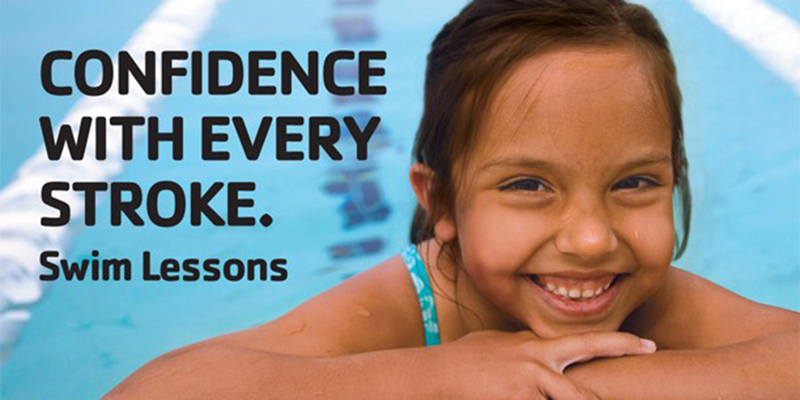 The Advanced Beginner level focuses on swimming independently, while practicing freestyle, and backstroke techniques. Goal: Independent Bobs, Bubbles, Floats, Streamlines, and Basic freestyle and backstroke techniques. Tel Hai Retirement Community, a nonprofit continuing care retirement community, has provided high quality and compassionate care since 1956. Directions to the StoneCroft Aquatics Center are available online at www.telhai.org; using your GPS please enter the 4000 Tree Line Drive physical address. The campus located three miles east of Route 10 off Beaver Dam Road. For more information or directions, please visit www.telhai.org. I am from the greater community and want to register for 3 lesson per week, for 2 weeks. I am a Tel Hai Team Member and want to register for 3 lesson per week, for 2 weeks. Session is from April to May and includes 3 lessons per week for 2 weeks. Please see the Spring Session 2 2019 Information sheets for all dates. Yes, I understand the statement below. I understand that my registration is not complete until payment is received by Tel Hai Retirement Community for the amount indicated above. I understand that SPACE IS LIMITED and the class I register for may already be full. I understand Tel Hai Retirement Community has the right to cancel, reschedule and modify lesson length as needed due to weather-related or maintenance related issues. As the parent/guardian, my youth registrant and I will follow all pool policies and procedures set forth by Tel Hai Retirement Community, including but not limited to locker room rules, pool-deck rules, and parking restrictions. I acknowledge that all Tel Hai activities, including use of the pool have inherent risks. I hereby assume all risks for the health and well-being related to myself and my registrant by participation in any and all Tel Hai activities. I further waive, release, absolve and agree to hold harmless the facility, or any other persons involved with Tel Hai Retirement Community. I also understand that I may be asked to leave facility at any time. We do not offer credits, refunds or make ups for missed lessons or swim team practices due to inclement weather, school events, vacations or illnesses. We will try to run on-deck safety lessons if lessons are delayed or end early due to thunderstorms. We do prorate lessons for the holidays and swim meets that affect scheduled lessons.